Last weekend, we were invited on a press trip to Bristol with Visit Bristol, and I can’t wait to share with your our experience! 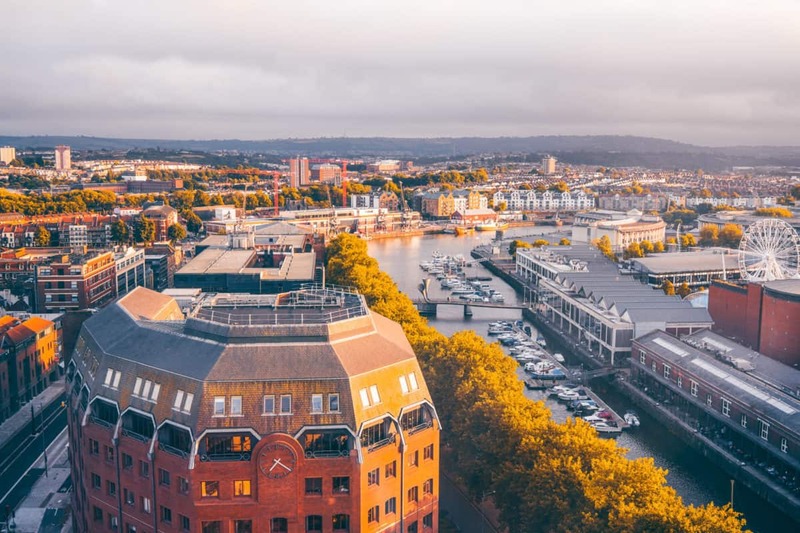 Weekend in Bristol was great and productive, and our 2-day itinerary for Bristol is full of different activities, restaurants and tours, so stay tuned for the ultimate checklist of the things to do in Bristol, England. 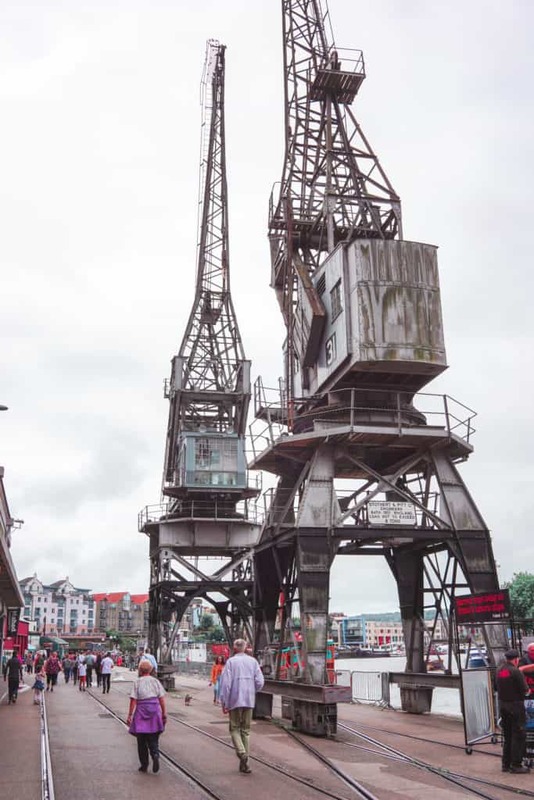 If you’re interested in some amazing Instagrammable places in Bristol, head to this post that I just published a couple of days ago. Getting from London to Bristol: train, bus or …? First of all, let’s talk about getting from London to Bristol. There are different ways of travelling from London to Bristol: bus, car or train. The train is the fastest one, but also the most expensive one. The car will work if you own a car (or rented one for a weekend). The bus or coach is probably the most affordable way of travelling between London and Bristol. National Express and Megabus are some of the most famous ones. However, the one I would recommend in a heartbeat is Sn-Ap. I was suggested to use Sn-Ap by visit Bristol, and I loved the service and.. the price. I paid £9.6 for a RETURN trip from London to Bristol, how affordable is that. The journey time was about 2 hours 40 minutes, and the coach was very comfortable. Now, to make a trip to Bristol even more appealing for you, I will tell you that the first return trip on Sn-Ap is free if you use the code tripsget. There is no catch. I also got my first ride for free, so don’t miss out on this opportunity! We arrived in Bristol at around 11:30 am and left our luggage in Radisson Blu Bristol. The location of Radisson Blu couldn’t have been any better – it’s located by the harbour, 5 minutes walking to major attractions and 0 (!) minutes walking to great bars and restaurants nearby. We stayed on the 16th floor in a business room with this view. Really, how gorgeous is this view? Only once I had a similar view from the hotel and that was in Miami (read about my trip to Miami Beach in this post). Our room was very modern and sleek, and we had the cutest pillow spray in our room – never seen a pillow spray offered in the hotels before – it’s such a great idea! Check the availability of Radisson Blu on their website or Booking or Expedia if it’s more convenient for you. Most part of the day one in Bristol, we spent exploring the best tourist attractions in Bristol. We visited “We the curious” that is an absolutely amazing interactive museum for children (though we enjoyed it too), “Bristol Aquarium”, where we saw some amazing fishes, M Shed – basically the most important museum in Bristol – you can learn about the history and the place/importance of Bristol in the UK over the last 1000 years. M Shed has a rooftop terrace on the 3rd floor, so don’t forget to visit it to take some good shots of the city. Later on, we headed to SS Great Britain – the largest steamship at the moment of its launch in 1845. Finally, we took the Bristol Insight bus tour and were pleasantly surprised by the fact that the tour had a live guide rather than a recording – that made the experience 1000 times better. When I saw Clifton, I realised that I’d like to live there. If you haven’t heard of Clifton – it’s a charming bohemian district of Bristol. It looks like a mix between Notting Hill and Hampstead in London, and it’s a place where wealthy, artistic or middle-class Bristolians live. 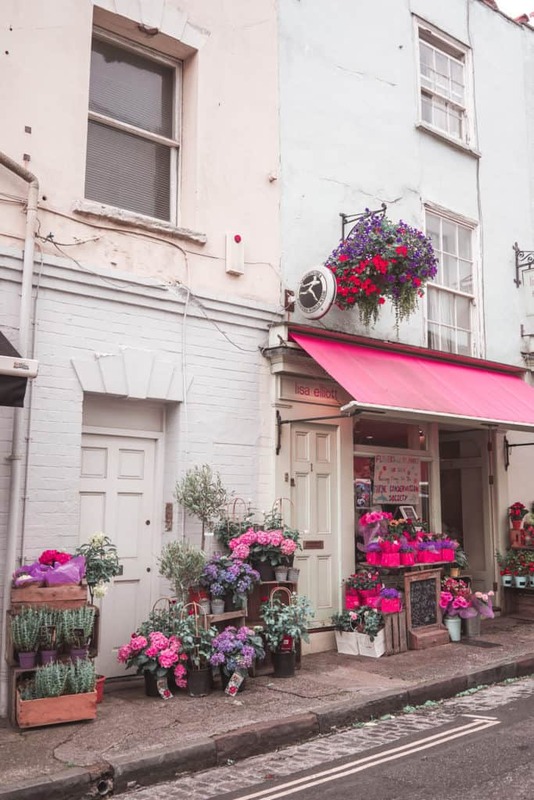 Before visiting the famous Clifton Suspension Bridge, we had a short tea-break in Anna, an adorable and pretty cafe in Clifton with some of the best macaroons I’ve tried in my entire life (read more about beautiful and photogenic places in Bristol in this post). We also walked around Clifton a bit and took some photos of some stunning locations. 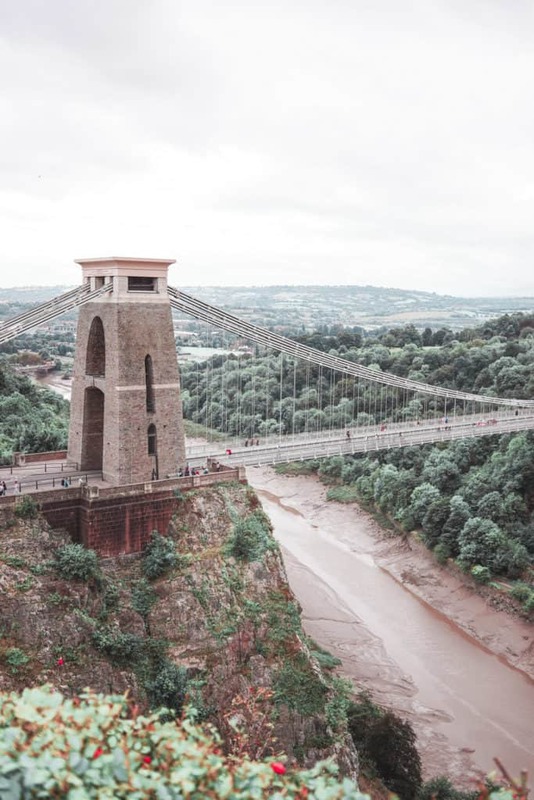 It took us nearly 10 minutes to get from the heart of Clifton to the Clifton Suspension bridge, so it wasn’t a long journey (I mentioned it, because initially, it seemed to me, that the bridge is very far from Bristol and it’s tough to get there. No, it’s not). The bridge opened in 1864, and it was always a toll bridge. Now you need to pay £1 to cross it in the car, however, if you walk – it’s completely free. The best views of Clifton Suspension Bridge you can see from the tiny white building on the right – the Clifton Observatory, that also has a pretty cafe on its top floor. We walked all the way from Clifton Suspension Bridge to our hotel (it took us about 45 minutes) stopping in the Shopping District of Bristol. I was genuinely impressed, as I didn’t expect Bristol to have so many great shops. It even had a Harvey Nichols (where I bought a new highlighter from Fenty Beauty – it was easier than getting to HN in Knightsbridge in London). We had our dinner in the hotel, however, if you’re looking for some nice places, head to the Boxpark behind the M Shed – there are plenty of exciting street food places, and many of them are worth trying. We started our morning with a very early Sunday Brunch. We arrived at Florist Bristol when it just opened and had the entire restaurant for ourselves (I managed to take a lot of shots for my Instagram @lizatripsget). Florist Bristol is a rare case when the food also tastes great in such a gorgeous place. 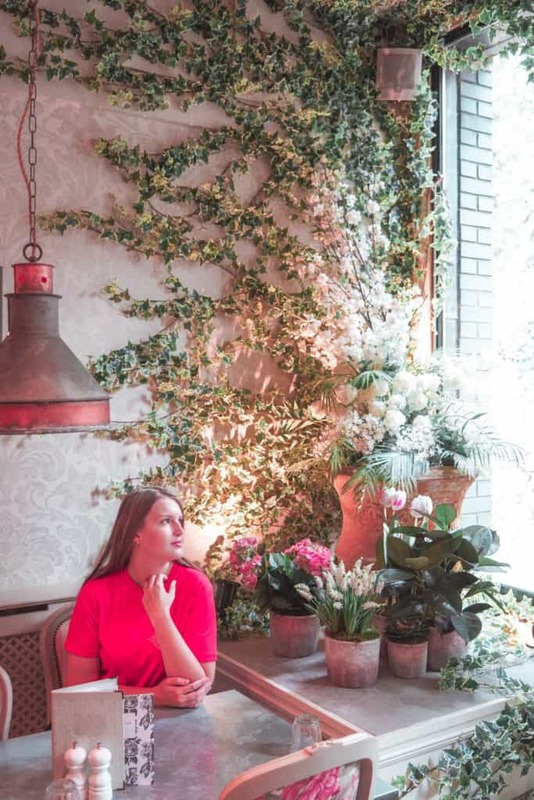 For example, in Peggy Porshen in London, food isn’t that great, but people still flood there for Insta-worthy shots (read my post about the most instagrammable food spots in London). However, food in Florist was great and the prices weren’t exaggeratedly expensive. I would say The Florist Bristol is definitely one of the most beautiful restaurants in the UK (at least from the ones I visited – and I’ve been to quite a few). 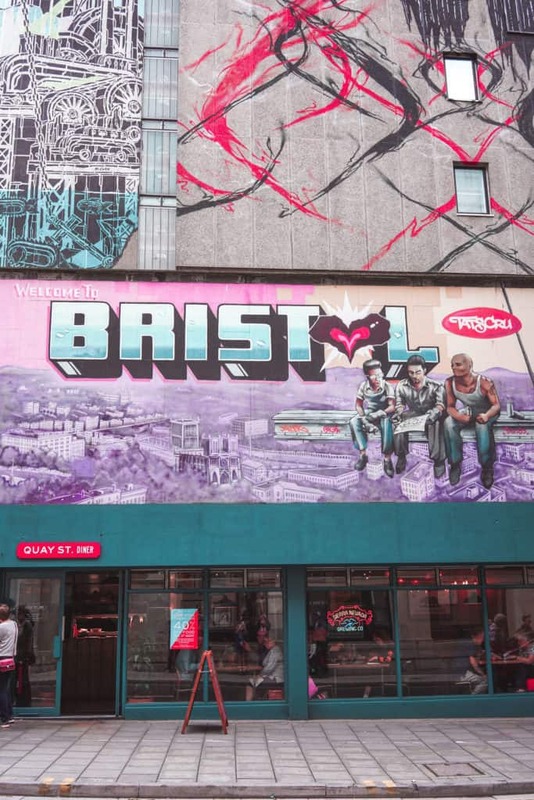 Later on, we embarked on a tour through all the significant street art in Bristol with WHERETHEWALL (leaving their website here, so you can check them out). I absolutely loved the tour – it was conducted by a real artist and he knew a lot about Bristol street art community as he’s one of them. I’ve learned a lot from this tour and actually started perceiving street art in a different way. I love some types of street art, but I really dislike the graffiti and this tour made me even more sure of that. We were quite hungry when we finished the tour and we had a great place for lunch in mind – Bosco Pizzeria (best-rated pizzeria according to Foursquare). The pizzas were delicious and the place was great – I would definitely recommend it to you. 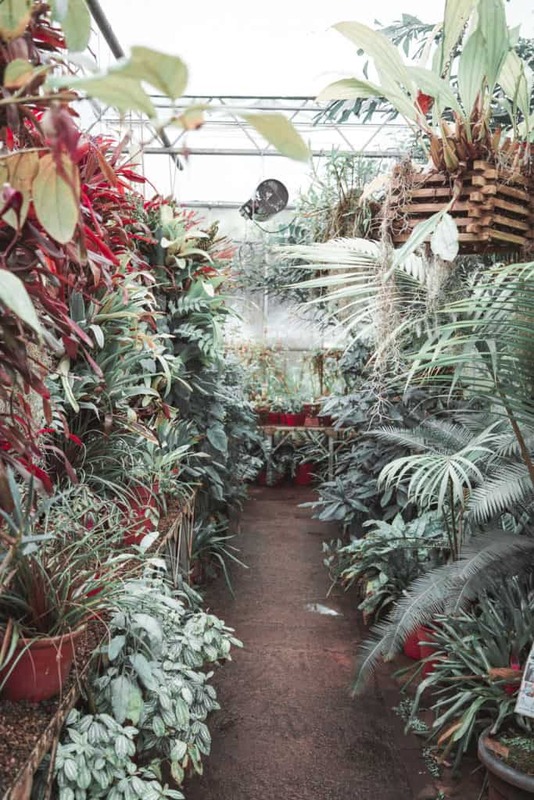 From Bosco, we headed all the way to the Bristol University Botanic Garden that was hosting the exhibition of art connected to colour blindness. It was interesting to stroll around the garden and see some fascinating art. The greenhouses of the Botanic Garden were gorgeous as well. We spent the evening in Bristol city centre, near the harbour, watching the sunset and enjoying our last evening in Bristol. To summarise, I liked the city – it’s artsy, unusual and vibrant. We do tend to hit Bristol every few years if we’re travelling in the UK but haven’t really seen any of the these places other than the suspension bridge. Arnolfini art gallery and the nearby aquarium are great to explore if you’re into those sorts of things. Must admit that the street art tour does look interesting, though, as that’s something we’re very interested in so next time we’re in the area we might have to look that one up.